As of late, I’ve been feeling slightly sluggish (being buried in snow will do that to you) and a little judgmental of my physical appearance. I attempt to combat these thoughts and promote more kindness towards myself but inwardly I know that changes in my daily life must be made for them to diminish. I appreciate and love my body for all it does to keep me alive but I feel I haven’t shown it such respect through my diet and exercise since my move back home. I find this trap is easy to fall into during wintertime (especially in Maine) as restorative yoga seems so appealing compared to more strenuous practices and hot comfort food beckons to me. I wish to transform my morning back into a realm of positive thoughts and actions to encourage the same mentality throughout my day. 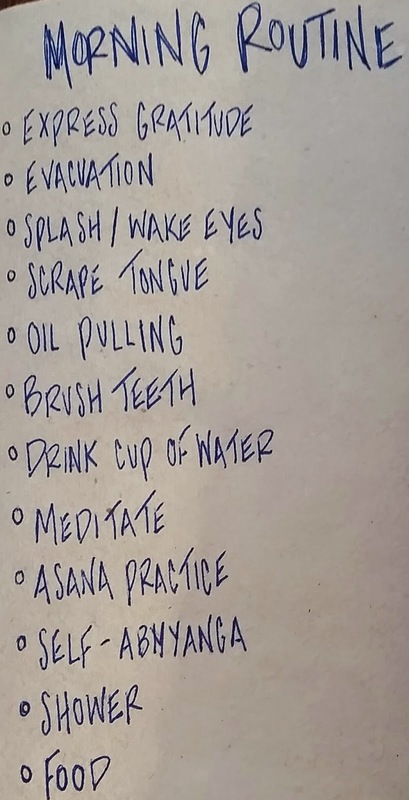 When I was living in Colorado I adopted a morning routine based on the principles of Ayurveda and it did wonders for me. This lead me to question why I ever stopped following my routine – and furthermore encouraged me to develop one suited to my new environment. I constructed my new morning routine based on the original and tailored it to my busy lifestyle here in Maine (I had a lot of spare time in Colorado). 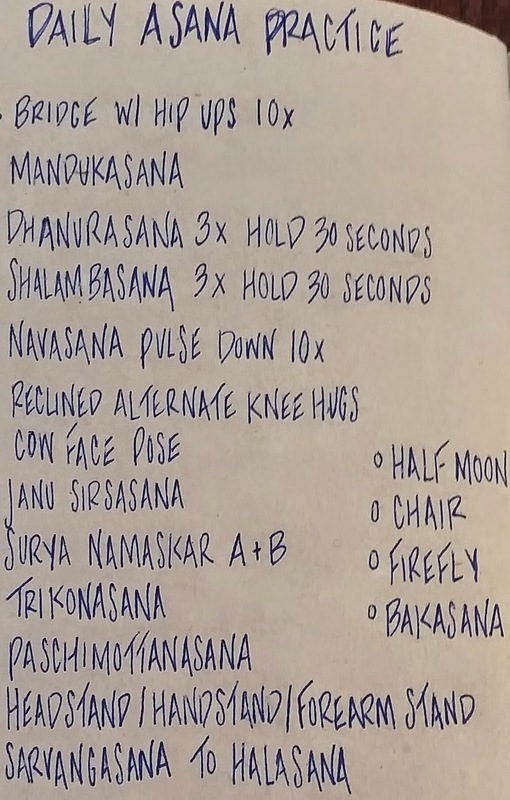 In addition, I devised a list of yoga poses which I hope to practice daily to reach my personal goals – not just looking good in a bikini, but mostly looking good in a bikini.